The prize committee wrote that Prof. Lubotzky is one of the world’s leading researchers in group theory. Prof. Alex Lubotzky of the Hebrew University of Jerusalem will be awarded the Israel Prize for research in mathematics and computer science, the Education Ministry announced on Monday. Education Minister Naftali Bennett approved the recommendation of the prize committee, headed by Prof. Ofer Zeitouni. In its decision, the prize committee wrote that Prof. Lubotzky is one of the world’s leading researchers in group theory. “His research is spread across all parts of this theory: finite groups, infinite, topological groups, algebraic, arithmetic, and more. 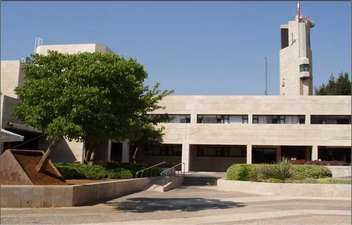 Prof. Lubotzky was born in 1956 in Ramat Gan and earned his bachelor’s degree at Bar-Ilan University just a year after graduating from high school. He went on to serve in the IDF and then earned his doctorate in mathematics at just 23.